Florida Gator defensive coordinator D.J. 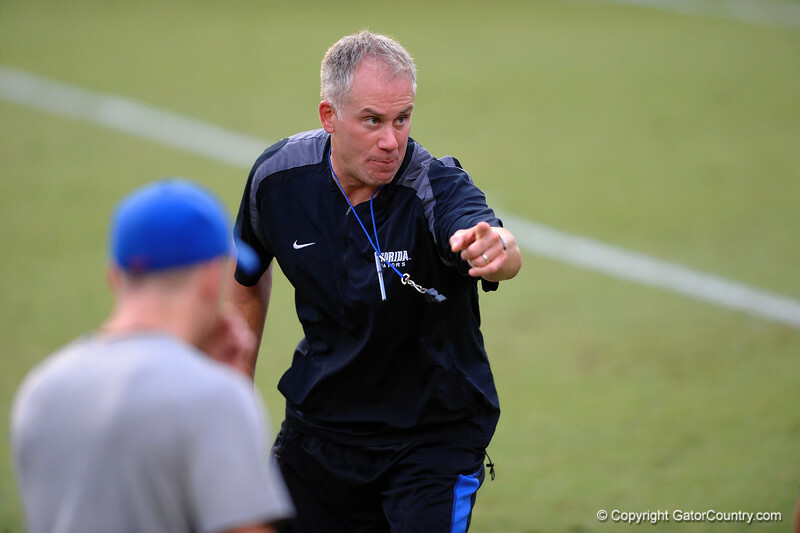 Durkin coaches up the recruits during a drill. 2014 Friday Night Lights. July 25th, 2014. Gator Country photo by David Bowie.